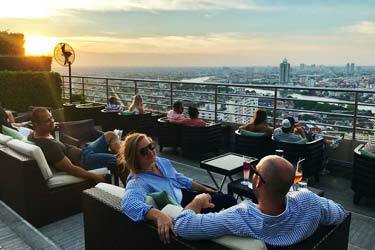 A complete guide to the 2 best rooftop bars in Belgrade in 2019. For starters: Which are the best rooftops in Belgrade? Enjoy one of the oldest capitals of Europe from one of the best Belgrade rooftop bars. Starting here, with the ultimate guide to the best sky lounges in Belgrade. 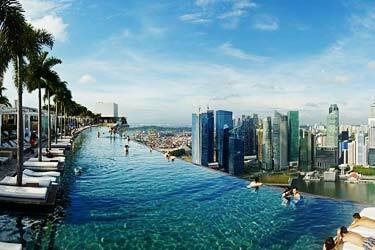 Below you'll find all the info you need about each rooftop. Opening hours, pictures, dress code, maps and so much more. 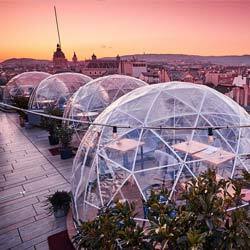 So, which is the best rooftop bar in Belgrade? Just scroll down and find the Belgrade terrace best suited for you. Or use the Belgrade rooftop map in the bottom right corner. 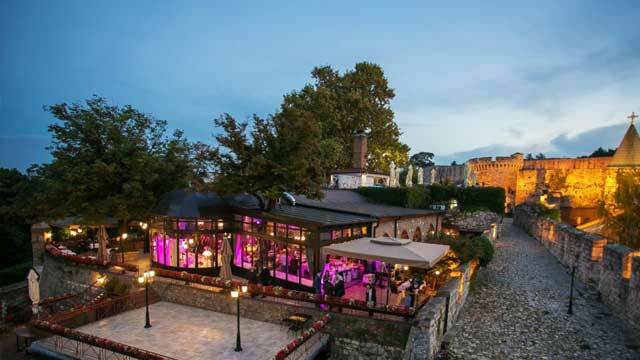 Situated on the castle Kalemegdan, which is one of Belgrade's main tourist attractions, you’ll find this stunning Belgrade rooftop bar and restaurant. With seating for 250 at the inside restaurant and 100 on the open-air terrace, the rooftop comes with a fantastic view of Belgrade and its bridges and rivers. Surounded by history and very classic and stylish in decor, Kalemgdanska Terasa serves top-class cuisine, classic cocktails, spirits, beers along with an impressive and extensive wine card. 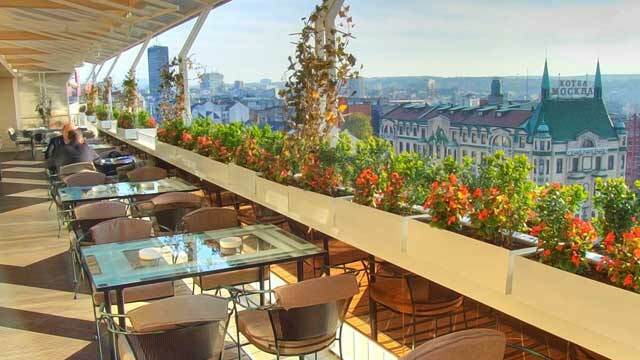 An upscale rooftop restaurant, located on the 8th floor in downtown Belgrade, just above Terazije. Not super easy to find, but well worth the search. The restaurant serves Mediterranean, domestic dishes and dishes of Balkan cuisine, along with a fine selection of wines, spirits and some beers. From the balcony terrace you get a magical view of Belgrade's skyline and rooftops. Complemented with friendly service, great ambience and quite often live music, Caruso is a great rooftop to visit. Discover the biggest collection of Belgrade activities, guided tours and skip-the-line tickets. Anything you want you'll find right here. Belgrade has cold winters and hot summers. This results in a rather low range of rooftop bars. 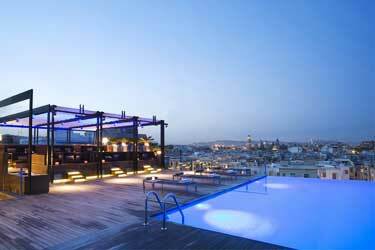 The roof terraces are open during the summer and offers beautiful views of the city and its surroundings. More info about Belgrade can be found here. Belgrade, which means "the white city", is the capital of Serbia. 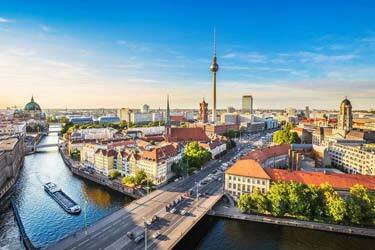 It is one of Europe's oldest capitals. 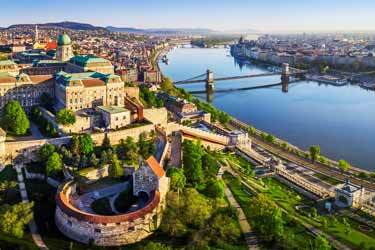 The city is situated where the rivers Sava and Danube meet. Other nicknames of Belgrade's is "The gateway to the Balkan" and "The door to Central Europe", due to its waterfront location. 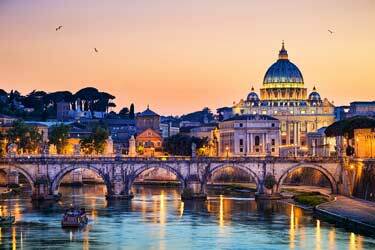 Theaters, art galleries, museums and Orthodox churches are some of the attractions that are available here. 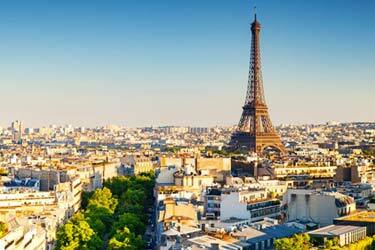 The city has continental climate with four seasons.